By Amanda Glenn 20 Comments September 19, 2018 This post may contain affiliate links. Are you too tired to pump at night? 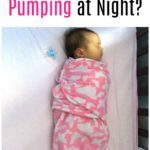 Once your baby gets past the newborn stage and starts sleeping for longer stretches, you might wonder how to stop pumping in the middle of the night. 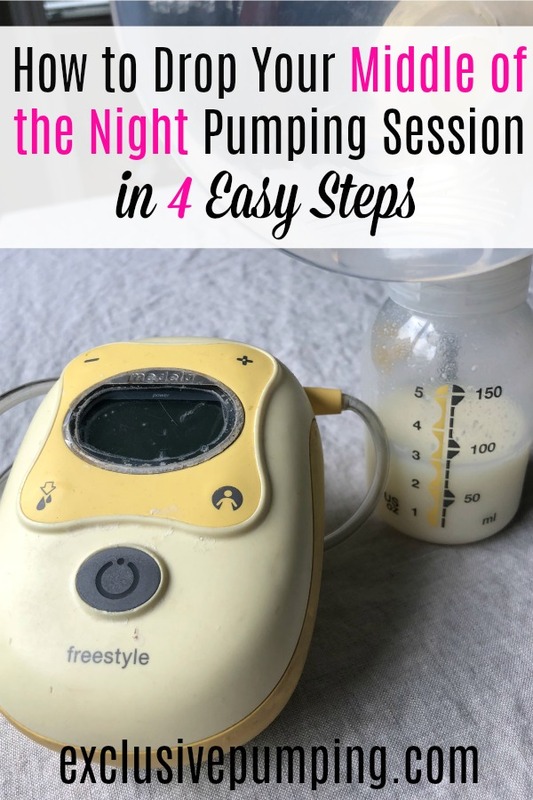 Here’s a step by step plan for how to drop middle of the night pumping sessions, including what you should do if you’re prone to clogged milk ducts, and whether you should worry about your milk supply. When you’re thinking “when can I stop pumping at night?” the two biggest concerns are usually milk supply and clogged ducts. Here’s what to consider when dropping your middle of the night session (also known as the MOTN pump). Will My Milk Supply Go Down? Anything can happen when you drop a pumping session – your supply might drop, it might stay the same, or it might even increase due to the extra sleep you’re getting. Unfortunately, every woman is different, so you can’t predict what will happen ahead of time. Your best bet to mitigate the risk of losing supply when dropping a pumping session is to add the time from the dropped session back to your remaining pumping sessions, so that your total pumping time in a day stays the same. With regard to dropping a middle of the night pumping session in particular, many women worry that they may lose supply since prolactin levels are higher at night than they are during the day. For example, you may have noticed that you pump more milk in the early morning hours (between 1am and 6am) than you do later in the day. This doesn’t necessarily mean that your supply will go down when you drop the middle of the night session, though. I personally did not lose any supply when I dropped my middle of the night session; I just got more milk in the mornings. However, as I said above, every woman is different. It’s a good idea to monitor this as you drop your night time session and immediately afterward. If you notice your supply dropping, it’s a good idea to weigh the benefits (sleep) with the risks (less milk) of continuing. The other risk is that after you drop your middle of the night pumping session, your period will come back. Breastfeeding frequency is an important factor in fertility after having a baby; if you stop pumping overnight, your period may come back sooner than it would have if you hadn’t because of the reduced frequency in lactation. Menstruation can be associated with a loss in milk supply, though there are some steps you can take to try to minimize or prevent this. What if I’m Prone to Clogged Ducts? Dropping a pumping session – especially the middle of the night one, where you’ll be going longer between pumping sessions than you have before – can be really scary if you’ve had clogged milk ducts or mastitis before. Go slowly. In the step by step plan below, I explain how to drop your middle of the night pumping session quickly and how to do it at a slower pace. You should pick the slower pace. Consider using cabbage leaves. 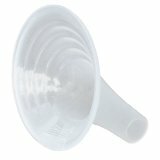 Putting a cabbage leaf in your bra while you’re moving a pumping session back can help keep the milk from getting stuck and prevent blocked milk ducts (more info on how this works here). Note that if used too much, cabbage can negatively impact supply, so don’t overdo it. Try starting lecithin before you start dropping the pumping session. Lecithin can help make your milk less sticky, which also makes it less likely you’ll get a plugged milk duct. Try to fully empty your breasts at the session before the one you’re dropping and the next one. This might mean pumping a little longer. 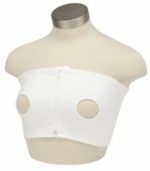 If you are really worried, you can also get a lactation massager before you start dropping the session so that you’re prepared to quickly get any clogs out that do appear. For dropping middle the night sessions, I prefer the fourth method, where you move pumping sessions until they are closer together and you can drop one of the them. What you want to do is slowly move the pumping session back until you get close enough to either the next middle of the night session or the first morning session that you can combine the two sessions into one. 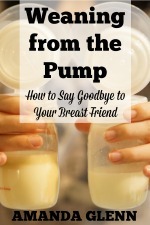 This is because usually, when you’re dropping a night time session, you’re training your breasts to go longer between pumping sessions than they have before. It’s best to do that slowly to allow your body to adjust. Here is how to drop the middle of the night pumping session in four easy steps. 1. 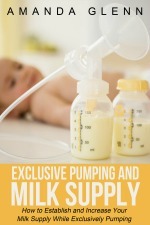 Write down your current pumping schedule. If you have a firm schedule – like 9am, 1pm, 5pm, 9pm, 9pm, 1am, 5am – you can skip this step. 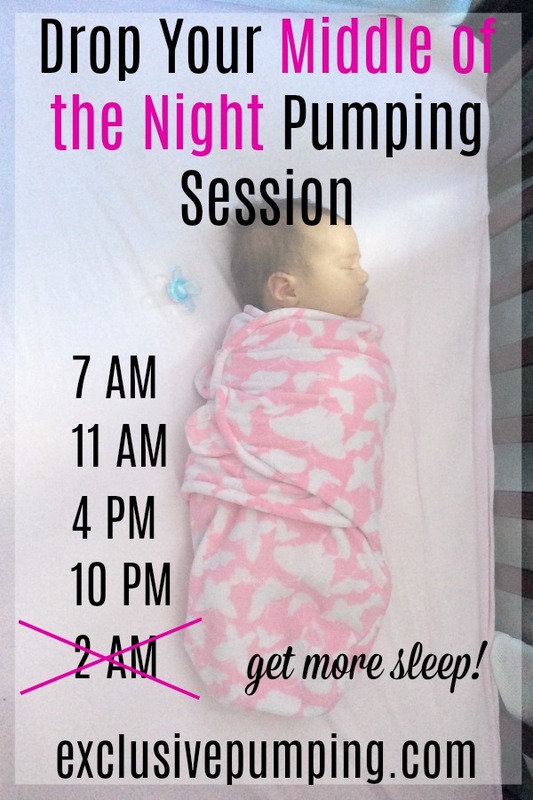 This is more for moms who pump at night whenever their babies get up to eat, or who pump a certain number of hours from their last pumping session. The idea here is to get a good idea of where you’re at, so that you can plan the changes that you’re going to make. So let’s say that you pump every three hours during the day plus whenever your baby wakes up at night. Most nights, that’s once, somewhere between 2:30am and 4:30am. You go to bed around 10pm, and you start your last session of the day at 9:30pm. You get up for the day at 7am. These may not always be the exact times that you pump, but it gives you a good idea of where you’re at now, so you can plan how to get where you want to be. 2. Decide what you want your new schedule to be. Make sure that your goal is clear. 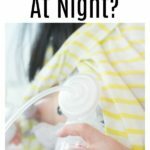 How long do you want to be able to go without pumping at night? Let’s say that you decide you want to be able to go from 10pm to 6am without pumping, and pump every three hours during the day. In practice, you wouldn’t have to pump at exactly these times; maybe you push back the 9am to 10am on Mondays because of an activity or something. That’s totally fine, we just want a general schedule to work towards. 3. Make a plan for dropping the middle of the night session. So you’ve identified the pumping session that you are going to push back (in our example, 3:30am), and your next pumping time in your goal schedule (6am). The next thing that you need to figure out is how much time you want to push the session back at once. Does that seem too slow? You can go faster! Maybe you want to push the time back an hour a day. Or two hours a day. Whatever you think your body can handle is fine. Or does that seem too fast? Maybe you’ve tried pushing sessions back before and you got mastitis. Go slower! You can do 15 minutes at a time, and wait a few days at the new time before pushing back another 15 minutes. You set the pace. 4. Start dropping your middle of the night session – and keep track of what happens! Once you’ve got your plan, you can go ahead and get started pushing your sessions back. It’s a good idea to use either a pumping app or just a piece of paper and a pen to track when you’re pumping and your output. This allows you to troubleshoot potential issues, and proactively identify any changes in supply so you can make adjustments if needed. Have suggestions or questions? Leave them in the comments! Also, is 830pm-7am too long in between sessions? Hi Ashley! I don’t think you need to reduce the time, I would just add all or most the time to the morning sessions when you combine it! It might be better to move it back to 9:30 or 10 if you can, but if not and if you’re comfortable, it should be okay. Lots of nursing babies sleep for 10.5 hours at a time at 8 months. Good luck! Hi Jasmine! How were you trying to drop the session – what method were you using? Sorry about the mastitis! I have a 7 week old and she’s been sleeping through the night so I basically dropped my MOD pumping session by accident because I stopped waking up to my alarm haha. My period came back but so far, I haven’t noticed a decrease in my supply. I have been trying to increase it though because I struggled with low supply in the beginning but so far, I only see my output going up due to the herbal supplement I’m taking. I still pump 6x a day though plus breastfeed here and there so should I continue doing this or should I try and pump MOD still since I’m still trying to increase supply? I think you should continue doing this! The sleep is priceless and maybe being well-rested helps? You never really know. I would keep doing what you’re doing, but obviously it’s up to you! My baby is 4 weeks old and I pump about 6 to 7 times a day. I’m making plenty of milk and wanted to know if you thought I could drop a session? I have bee. Exclusively pumping since about 5 weeks and I have a 4mo old now. I pump 5x a day and make more milk than she needs now. I’m cold turkeying my middle of the night pump (for about 3 days) but I’m wondering how long it will be until I’m not waking up with overflowing breasts. They do get painful in the middle of the night and affect my sleep. Hi Kae, I would guess it would take a few more days to a week or so? Good luck! I’m thinking about dropping my 4am morning session, little one is almost 6 months old. My pump schedule is currently 4am 9am 2pm 7pm 10:30pm. 6am 12pm 6pm 10pm…is 8 hours between 10pm and 6am too long? I am prone to clogged ducts so I will look into lecithin. Your information has been a Godsend to me! My little one is just a week old and my current schedule for pumping is 6am-9am-12pm-3pm-6pm-9pm-12am-3am. It seems like a lot but I just started pumping at all of his feeding times to get started. I would like to try 6am-10am-2pm-6pm-10pm-2am. I do have a good milk supply so is it too soon to start cutting these times? Appreciate all the information. My current schedule is five pumps per day 9 AM, 1 PM, 6:30 PM, 10:30 PM, 3 AM. Looking to drop the 3 AM session, but really can’t move up the 9 AM due to baby’s schedule and work. I know that is a long time between 11pm and 9am and I get engorged and clogged pretty easily. Based on your information, I am thinking I would want to decrease volume slowly versus shortening the time? Or should I gradually push out the 3 AM session? Also considering trying some lecithin. Any other thoughts to try and accomplish this goal of more sleep!? How old should my baby be before I drop this middle of the night session. She is almost 3 months and sleeping 9 hours at night. There’s no real rule, but I think 3 months is fine unless you’re trying to increase your supply.